Joanna Trollope hopes to remind people that “books are where all the great ideas are” while Will Self has said he will “strip naked and strike a few attitudes” if the audience demands it as the third Plymouth International Book Festival gets underway this week. A glorious blend of global bestsellers and up and coming talent – also including former Poet Laureate Sir Andrew Motion, ex-BBC correspondent Kate Adie, Man Booker Prize judge Sarah Churchwell, Costa Prize winner Nathan Filer and crime writer Sarah Hillary – will be heading to the South West from October 17-25. And ahead of their visits, many of the authors have been sharing their opinions on the importance of books and literature in the digital generation, and saying what audiences in Plymouth can expect when they come to see them. The festival is organised through a partnership of Peninsula Arts at Plymouth University, Literature Works and Plymouth City Council, with funding and support from Arts Council England, and will feature more than 40 events at venues across the city. 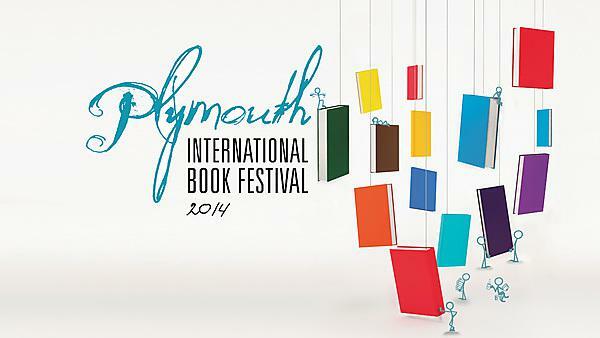 The Plymouth International Book Festival is taking place at venues across the city, with Joanna Trollope, Will Self, Nathan Filer and Sarah Hilary reading from their latest novels, with Sir Andrew Motion talking about his life as a poet and reading from his latest collection, The Customs House, and Kate Adie among the authors speaking about the role of women in the First World War. The South West writers looking to inspire future creative in the region will include Plymouth University lecturers Annika Bautz, Miriam Darlington, Angela Smith, Tom Vowler and Min Wild, as well as Plymouth City Council Poet Laureate Michael Sullivan. Every year the festival attracts a wealth of talent from across the literary world. Find out who took part in the 2014 festival.